Hi everyone! 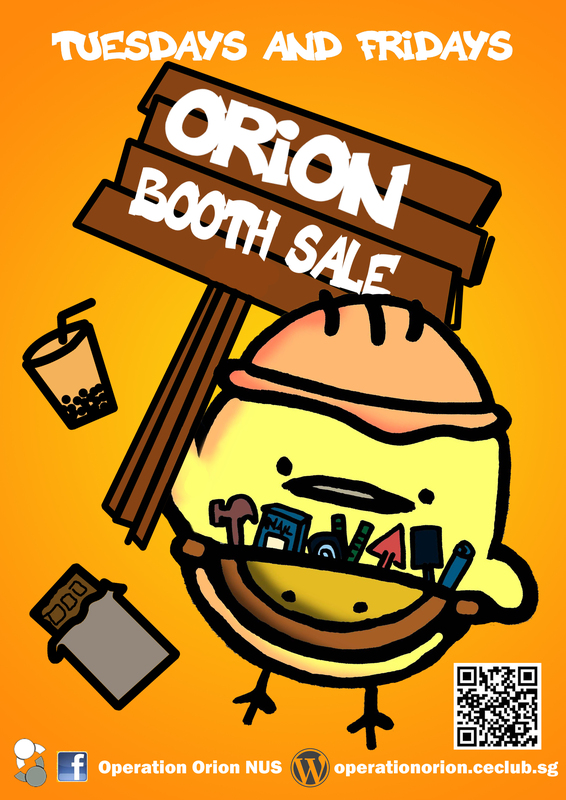 It’s time again for the Orion Annual Booth Sales! Buying our PYL cards will also automatically enter you in our LUCKY DRAW. Attractive prizes to be won! We’ll also be collecting old newspapers, clothes and electronics from week 4 to 6 at our booth. Proceeds from collection will also go into the Lunch Project, to fund the building of the chicken farm. If you have the above items, please support us by bringing them down!